From the bestselling author of Riders of the Purple Sage, comes another classic Western tale. The sun set across the purple sky over the Don Carlos Rancho while the warm Santa Fe breeze rustled through the grazing fields just off the trail. The Colonel sat on his porch, staring over the whole scene, pondering the seemingly-doomed future of his prized cattle ranch. Another spell with my heart like this last one will kill me,” he said nervously to his right-hand man, Britt. Afraid it would break her, the Colonel kept his condition from his alienated daughter, Hollywho was shipped off to boarding school in the East at the tender age of eight. The Colonel would settle for nothing less than the best education for his daughter. Not to mention, the Westcrawling with outlaws, thieves, and greedwas no place for a naïve, young woman. However, in the wake of the Colonel’s death, Holly is forced to return and take the reins of her father’s beloved cattle empire. In the midst of hordes of outlaws ransacking the ranch and antagonizing their stock, the heiress must learn the ways of the West alongside the Captain Britt, in an attempt to salvage what’s left of her father’s dream. 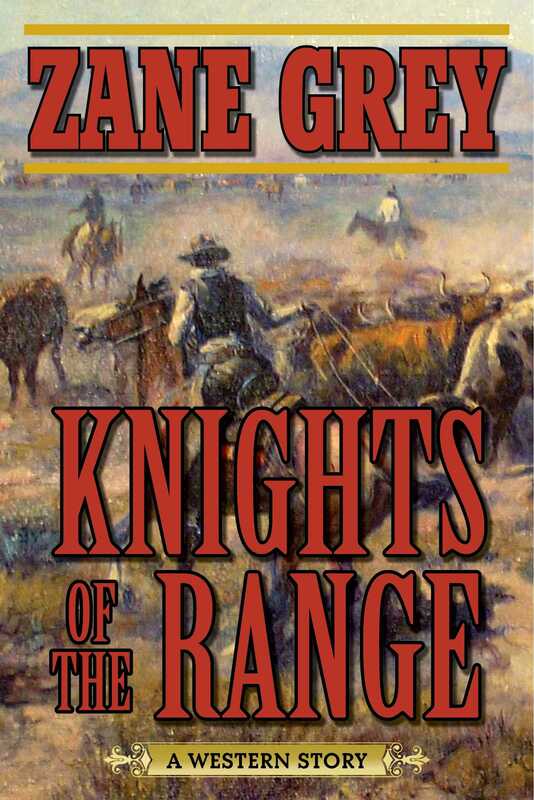 In the spirit and glory of a classic Western, and published exactly as the author originally intended, Knights of the Range, is one of Zane Grey’s swiftest and most exciting novels.